You’ve always dreamed of owning a home with a pool, and now that you’ve built one or purchased a home with an in-ground pool, all you can think of are the summer days and nights you’ll spend outside. Weather in the Dallas/Fort Worth area provides ample opportunities for backyard barbecues and pool parties, and if you plan to use your new outdoor area on a regular basis, it’s important to think about the lighting you’ll need. At Passion Lighting in Grapevine, we can help you find the ideal exterior lighting for your outdoor space. If you have people over in the evening, it’s important that they’re able to see where they’re going as they make their way to the pool. Pathway and garden lighting can illuminate the walkway while also adding ambience to your outdoor area. Perhaps you’ve designed your new backyard space with lots of foliage, and pathway lighting is a great choice for highlighting your ground cover and shrubbery. The temperatures in Texas can stay warm into the evening, and a pool party at dusk can be a great way to end a long day. You want people to be safe around your pool, and adding lighting around the deck area will help them see as they get in and out of the water, as well as when they’re sitting at the patio table enjoying a cool drink. If you have a covered area near your pool, we can help you find light fixtures and outdoor ceiling fans for the space. 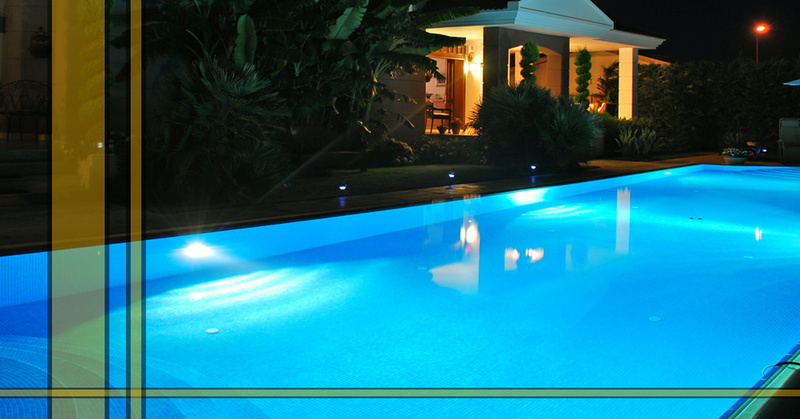 If you’re adding a pool to your home this year, or you have plans to re-landscape the exterior of your home and add new walkways, come to Passion Lighting. We have an outstanding selection of outdoor lighting, and would love nothing more than to help you choose the perfect fixtures. Visit our showroom today!